Specialists in a wide variety of body conditions and the provision of cutting-edge body treatments, HSA Dermal Clinic is London’s most advanced centre for specialist dermatology. Our experience and expertise extend to all common and rare body conditions, helping discerning clients achieve pride in their appearance through exclusively non-invasive body treatments. Our commitment to the latest technologies and advanced procedures enables us to deliver the most extraordinary results, with absolutely no surgery required. Just a few examples of our specialist areas include the analysis and treatment of bingo wings, excessive sweating, love handles, stretch marks and scarring, general body contouring issues and many more besides. By taking a holistic and dynamic approach to the body treatments we provide, we’re able to devise uniquely effective solutions and ongoing programs for all body conditions. We’re also happy to offer every new client a comprehensively obligation-free consultation with one of our experts, in order to discuss the available options. 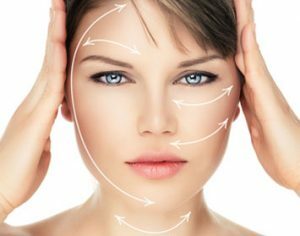 Explore our extensive range of services and specialist areas online, or contact a member of the HSA Dermal Clinic team today for more information. Alternatively, visit us at our cutting-edge clinic in Richmond upon Thames anytime.